What to buy in Myanmar? Lacquerware is such a popular purchase that is able to be made into the forms of vases, bowls and cups. 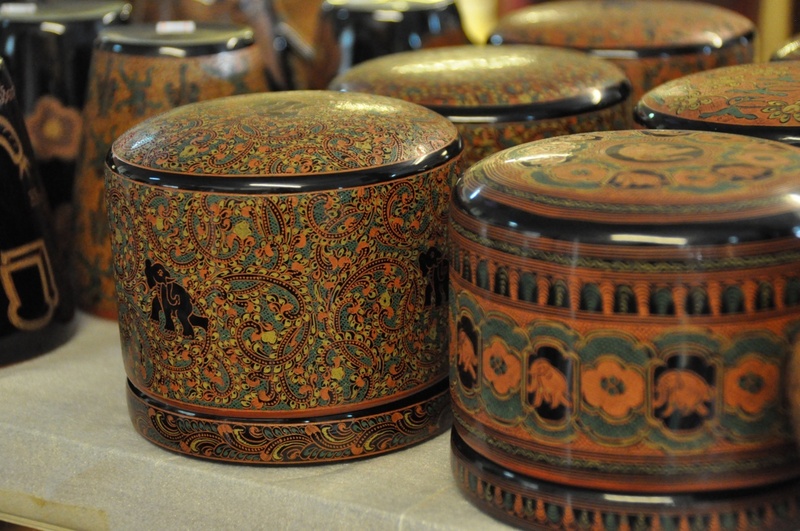 Bagan is an ideal place to go for gorgeous lacquerware with great diversity and reasonable price. As there might be fraudulent commodities, make sure to pay attention to the quality of the items you are going to buy. Genuine lacquerware must be engraved with natural colors of flowers, stone and sand. In contrast, fake items are painted. 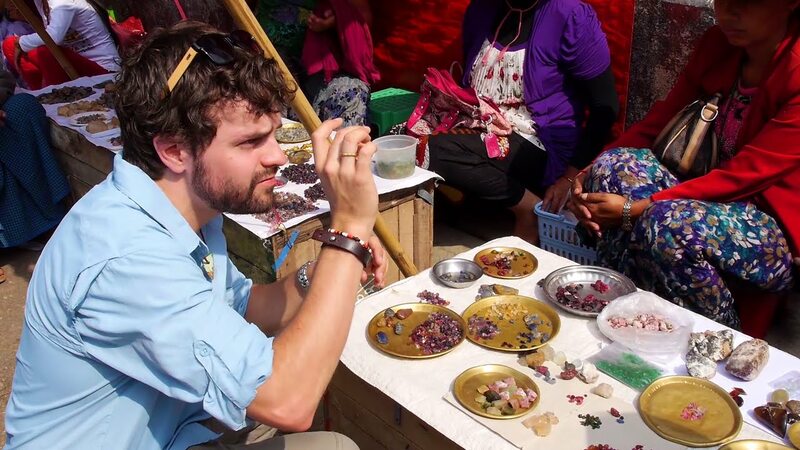 As Myanmar itself is a great miner of precious stones, don’t get surprised if you find low-priced rubies, jade and other gemstones in this beautiful country. Most of the finest rubies can be found in Yangon. However, only reputable shops are well worth your time and money. Be aware of fake stones you can easily find along the way. Wood carvings, leather bags, coconut masks, folk dolls and thing alike are popular souvenirs making Myanmar proud of itself. Thanks to the traditional making skill, these folk works must be remarkable piece to get back home. 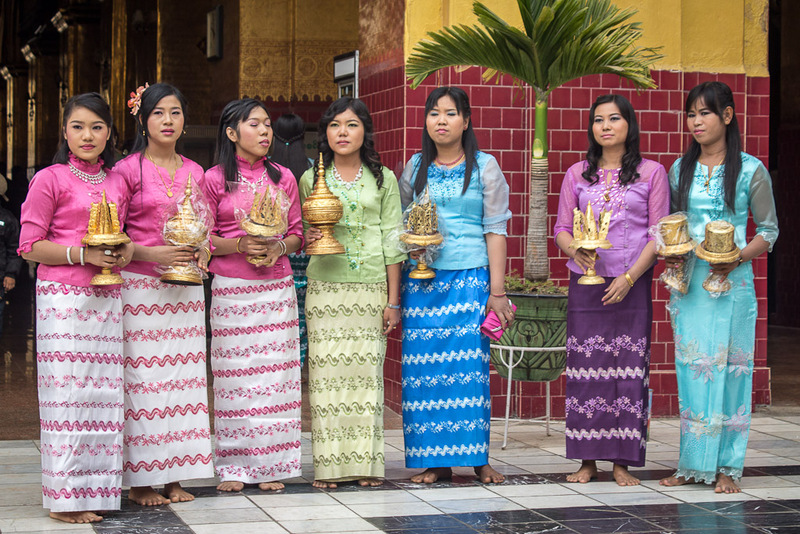 It is also the main reason to support Burmese tradition as well as low-income families. 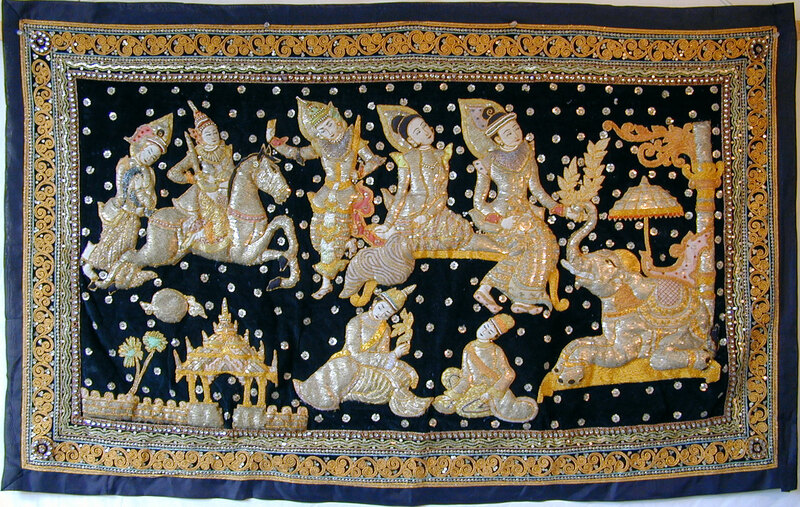 The delicate art originated from Mandalay in the 18th century. This most sought-after tapestry involving silver and gold thread and tales from the Buddhist scriptures depicted is also called Kalaga. You can use it to give it as a decent present for families or friends or decorate the interior of your house. Travelers may notice that in this mysterious country, Buddha stupas or images are gilded with gold leaves, which are also easily found at tourist cities. It is lacquerware shops in Mandalay that provide the biggest supply for real gold leaves – thin squares packet in sets of about 10 gold leaves. It is not permitted to take the real old Buddha statues/images and archaeological artifacts out of the country. Be mindful that in Myanmar, authority controlling trade standard does not exist, which means it is necessary to apply a thorough check of all the goods you buy. Only when you agree the price is the transaction made. 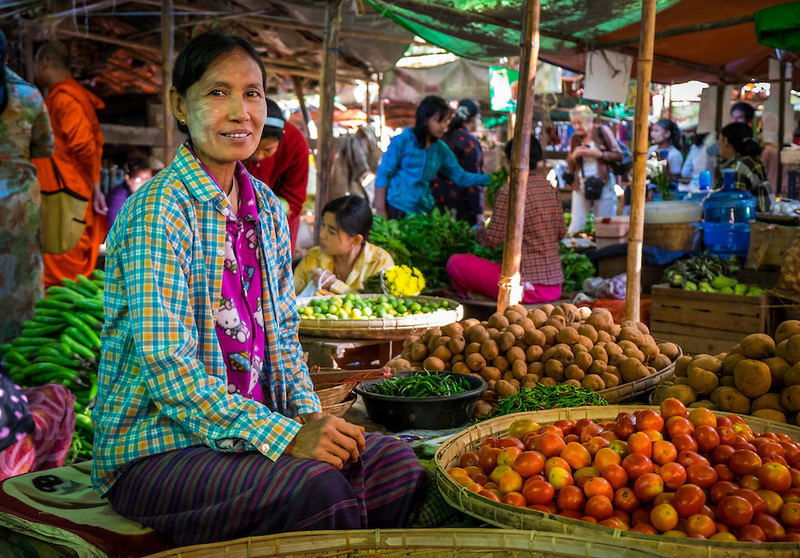 Nyaung U Market in Bagan is a popular center, where travelers go to buy things from fresh daily goods to traditional This market is also a perfect place to mingle with Burmese and know more about their lifestyle! The famous Bogyoke Aung San Market in Yangon is where travelers can enjoy fun There, you can also make great bargains. When passing the customs, official certificate of jewel is needed. It is possible to find interesting articles in shops inside the hotels. Have a go! In Myanmar, most markets open on Sundays and close on Mondays. During Buddhist Lent Festival, which is normally from August to October, all local markets close on full moon days. If you need more specific ideas about Myanmar’s shopping, let your private tour guide share his mind.